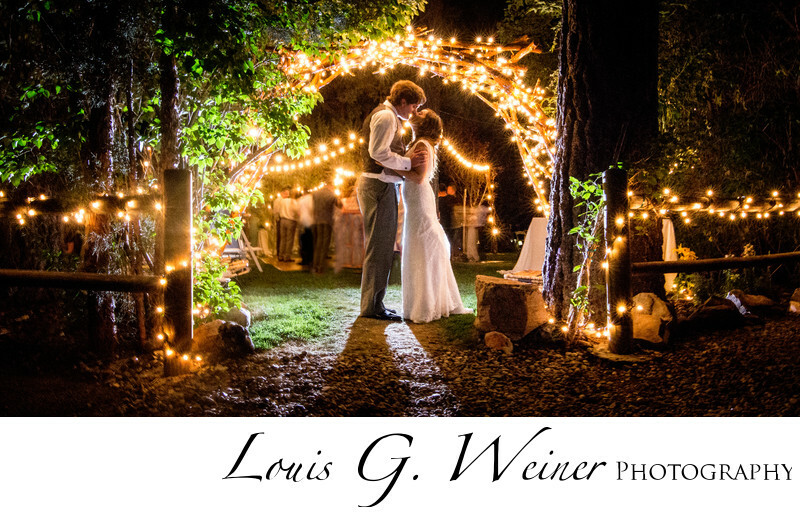 Gold Mountain Manor Wedding Night time kiss photograph, under the arch with a little photographer made magic lighting. With these two, you could see their love. Location: Gold Mountain Manor Bed And Breakfast, 1117 Anita Ave, Big Bear, CA 92314.